The AVI-V family offers rise times of 350 ps, pulse widths variable from 2 to 100 ns, variable amplitudes to 50V, and pulse repetition frequencies up to 20 kHz. The AVI-V-HV1 family is similar, but offers 250 ps rise times. Models with the -TR suffix have non-adjustable amplitudes of 50V, with faster 200 ps rise times. 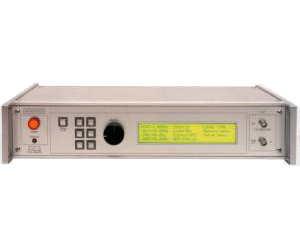 The 40V AVI-V-2L family offers operation at pulse repetition frequencies as high as 100 kHz, with 500 ps rise and fall times. The pulse width is adjustable from 1 to 10 ns, using front-panel controls.